Only a few works from Pjotr Tschaikowski's huge oeuvre have gained general acceptance, however, these are of such an enduring nature that the Russian is ranked among the great composers in the history of music. The way the world of music highlights especially his last three symphonies, his Piano Concerto No. 1, his opera Eugen Onegin and his Rococo Variations is nothing less than extraordinary. However, in comparison to his entire oeuvre, this selection can hardly be called representative. Marco Boni comes from a musical family. He studied piano, horn and cello at the Milan conservatory and took his final examination under the guidance of Rocco Filippini, gaining a distinction. 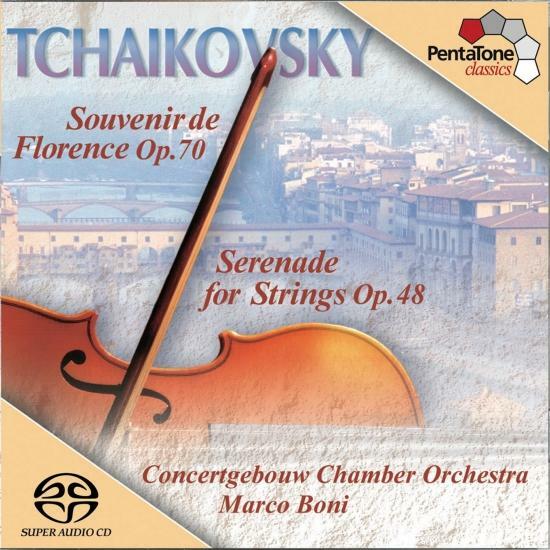 He began his career as a solo cellist in theTeatro Comunale in Bologna. Since then he has appeared at festivals both in Italy and abroad, working with Salvatore Accardo, Yuri Bashmet, Bruno Giuranna, Rocco Filippini, Bruno Canino, Susanna Mildonian, PaulTortellier and Sándor Végh. Since his appointment as permanent conductor of the Concertgebouw Chamber Orchestra, conducting has increasingly been the focal point of his musical activities. He has performed with the Scottish Chamber Orchestra, the Hungarian State Philharmonich Orchestra, the Orchestra of the Maggio Musicale Fiorentino, the Italian Philharmonic Orchestra, the Orchestra delTeatro Massimo di Palermo, the Orchestra da Camera di Mantova, the Orchestra Haydn di Bolzano, the OrchestraToscanini di Parma, the Filarmonici delTeatro Comunale di Bologna, the Virtuosi di Santa Cecilia and the Virtuosi Italiani. He has undertaken successful tours with the Concertgebouw Chamber Orchestra in Italy, Japan, Belgium, Portugal (with Maria João Pires as soloist) and Spain, and has made several CD recordings with the orchestra. With the Virtuosi Italiani he has recorded previously unpublished works by Nino Rota. CD recordings with the London Symphony Orchestra have been planned. 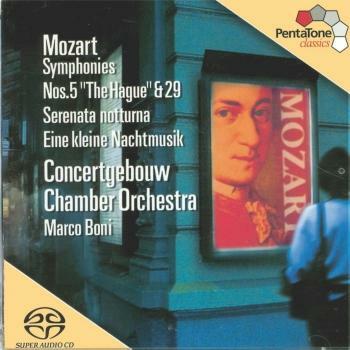 The Concertgebouw Chamber Orchestra (Concertgebouw Kamerorkest) was founded in 1987 and consists of members of the Royal Concertgebouw Orchestra of Amsterdam. Before that time it was called the Amsterdam Chamber Orchestra (Amsterdams Kamerorkest). The ensemble made numerous recordings between 1957 and 1987, conducted by the likes of André Rieu and Anton van der Horst, and it took part in significant national events such as the coronation of Queen Beatrix on 30 April 1980 and the state visit of US President George Bush in 1989.The Concergebouw Chamber Orchestra also made a name for itself internationally: recent performances include concerts in Belgium, Italy, Spain, Germany, Finland, Portugal and Japan. In addition CD recordings are made regularly for several labels. The recording released in 1999 of Mahler’s arrangements of string quartets by Schubert ('Death and the Maiden') and Beethoven (Op. 95) earned BBC Music Magazine’s highest accolade (five stars) for artistic direction and recording quality. Among the soloists to have performed with the Concertgebouw Chamber Orchestra are Maria João Pires, Friedrich Gulda, Eliane Rodrigues, Lynn Harrel, Jaap van Zweden, Isabelle van Keulen, Janine Jansen, Rudolf Koelman, Quirine Viersen, Jacob Slagter and Vesko Eschkenazy. 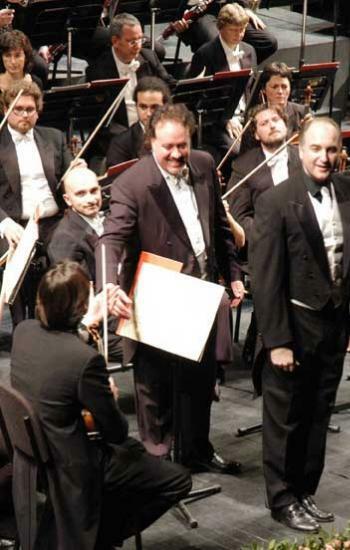 Since 1995 the ensemble’s permanent conductor has been the Italian Marco Boni.